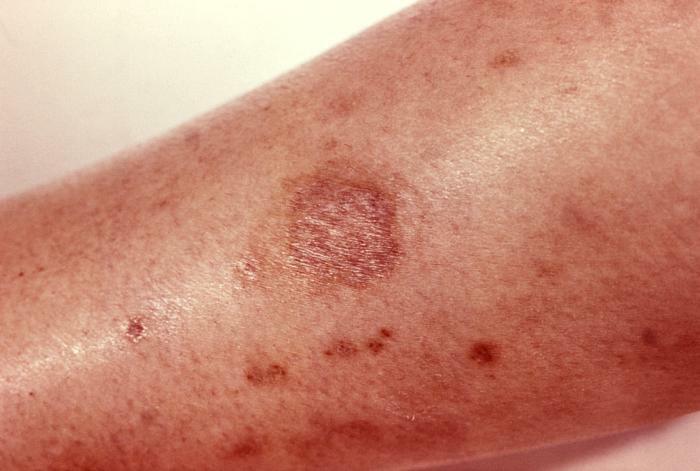 There are various treatment methods for spider bites depending on which spider bit you, specific symptoms, and the overall health and age of the bite victim. Though most spider bites pose no threat to humans (aside from some swelling and itchiness), some spiders do inject lethal doses of venom, requiring immediate medical attention. For spider bites of the non-lethal variety, general first aid typically requires cold compresses, taking over-the-counter pain relievers, and applying antibiotic ointment on the wound. If you are unsure about how to treat a spider bite, and believe you are suffering from unusual symptoms, it would be in your best interests to see a doctor. Prior to administering any treatment, the first step one should take is to identify which spider was responsible. Ideally the spider should be captured or its corpse should be brought in. If the spider cannot be found, it is still important for one to be able to describe the spider so a doctor can at least make an informed decision about how the treatment process should go. Whenever a toddler, elderly, or person with a weak immune system is bitten, a visit to the doctor’s office should be warranted due to how vulnerable the bite victim is. Experiencing symptoms like extreme swelling, harsh pains, or trouble breathing is a medical emergency. The next step in the first aid process is disinfecting the bite wound. Using just regular soap and water is enough to clean the affected area, since the goal is to remove any bacteria or residual venom that might be lingering around. The bite wound should next be elevated to reduce the spread of the venom. Cold compresses are used to alleviate swelling prior to using antibacterial ointment on the bite. Optionally, over-the-counter pain relievers can be used to handle the discomfort and pain which a spider bite may cause. Non-steroidal anti-inflammatory drugs (NSAIDs) like ibuprofen or aspirin can also alleviate inflammation. A better choice may be acetaminophen if the bite victim suffers from kidney or heart problems. If you are bitten by a spider that is known to be highly venomous, one should make a tourniquet by wrapping a bandage tightly just above the location of the bite to prevent venom from travelling further throughout the body. Afterwards, the victim should be taken to the nearest hospital for medical treatment. Even if the perpetrator is not believed to be venomous, symptoms like labored breathing, facial swelling, or chest pain should also warrant a trip to the hospital. Additional worrying symptoms need to be communicated to the doctor so that individualized treatment directions can be given.